The Doctor’s got fangs ……..? For anyone living in the U.K. (not me), and for anyone who is a Doctor Who fan (me, Dots and Tens3) and for anyone who is a Harry Potter fan (me and Dots), and for anyone who is a Stephanie Meyer/Twilight fan (Dots and, to a lesser degree, me), you’ll enjoy the news piece I’ve quoted below. 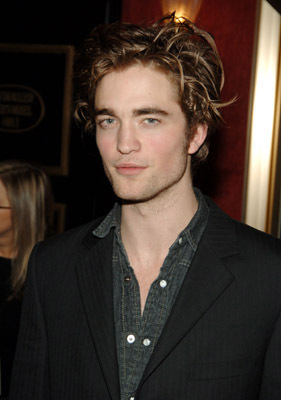 My colleague Rob Elder interviewed “Twilight” star Robert Pattinson yesterday, and there’s an interesting tidbit in the piece: Pattinson, who is English, said he would be open to taking over the lead role in “Doctor Who” once David Tennant departs it, as he has said he plans to do in 2010. Click Here for the entire article, which contains an interview that, incidentally, has far more to do with Pattinson’s lead role as a vampire (“Edward”) in the film version of Twilight. Cue sqeeeee’ing girls. I admit, I was absolutely charmed by Pattinson as “Cedric Diggory” in Harry Potter, Goblet of Fire, and there were at least one or two times when I thought he would have made a better Harry than Radcliffe does – minus the round glasses, of course. 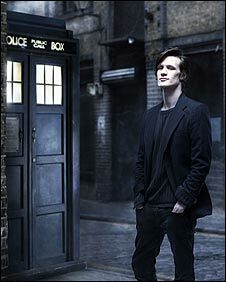 However, as appealing as the idea of Pattinson playing David Tennant’s role in Doctor Who might be in a visual sense, I am not quite ready to wrap my mind around a Doctor who would be a fair bit younger than me. Ladies, he has the hair doesn’t he? 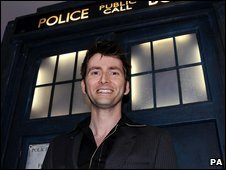 I think the really awesome thing about the role is that the “Doctor” can literally morph into any physical form, thanks to the ingenious ability to regenerate, but the role is so multi-layered that there simply must be a high degree of continuity in order to carry off the personality of one who has lived in excess of 900 earth-years. Perhaps from a marketing standpoint and in the eyes of teen/twenty-something Doctor Who fans — and Pattinson fans — this mix would prove quite irresistible. Twilight opens in theatres in North America on NOVEMBER 21, 2008. I’m looking forward to watching it now, from an entirely different perspective.